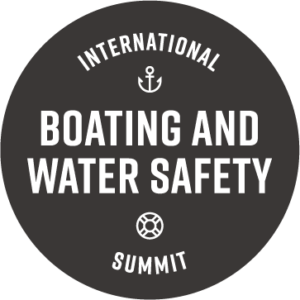 #IBWSS19 will explore the latest and most innovative products, programs and public outreach in boating and water safety. With the theme “The Future of Recreational Boating,” you won’t want to miss out on this sure-to-be best IBWSS ever. From on-water sessions to engaging classroom discussions, #IBWSS19 will address the latest trends and technology in recreational boating and water safety. Keynote speakers Thom Dammrich, President, National Marine Manufacturers Association and Peter Mitchell, Founder + Chief Creative Officer, Marketing for Change, will kick-off #IBWSS19. Dammrich will explore The Future of Recreational Boating taking a deep look at future trends for the industry. He is a leader in collaborating across recreational boating, as well as the broader outdoor community, creating a united voice in both the legislative and economic arenas. The National Marine Manufacturers Association represents the nation’s recreational boat, engine & marine accessory manufacturers. Mitchell will provide insights into how behavior-change marketing has been used to influence everything from smoking to retirement plan deductions. How might it be used to help shape the future of recreational boating, specifically life jacket wear and boater education? Marketing for Change is one of the nation’s leading providers of behavior-change marketing, providing behavior change interventions for the CDC, Safe Kids Worldwide, World Health Organization and more. Browse the interactive schedule to learn about more engaging sessions at #IBWSS19!